What Is the Stuxnet Worm Computer Virus? Stuxnet worm is a rootkit exploit. The Stuxnet worm is targeted at data acquisition (SCADA) systems and supervisory control. On the other side, it is vital to know that the SCADA systems are used for industrial control systems and this includes power, water, sewage plants etc. In the year 2010, VirusBlokAda Ltd – an antivirus company based in Belarus, discovered and described the Stuxnet malware. The person who first discovered the virus was Sergey Ulasen and later he went to work at Kaspersky Lab in 2011. Originally, the malware’s victim wasn’t completely understood, the malware design seemed completely complex and, it was perceived that the virus was written by a team of expert programmers. Basically, the Stuxnet virus has three separate code elements. The first one was immediately noticed and commented on. VirusBlokAda identified two more malware samples and an earlier unknown flaw had allowed a completely patched Windows 7 computer to be jeopardized. Stuxnet comprises code that can recognize software used in the method of designing and deploying instructions for programmable logic controllers (PLCs) made by German manufacturer Siemens AG. Even though malware that previously attacked PLCs was known before, this was the first instance of a rootkit. Numerous critical parts of an industrial facility’s processes like water, temperature, pressure, chemicals, sewage are automated through logic controllers. In the case of Stuxnet, malicious control of Siemens’ PLCs was employed to make top-speed centrifuges to move violently enough to cause physical damage. Experts who examined the elements and methods concluded that Stuxnet was probably begun around 2006. However, the attack on Iran Natanz plant did not happen until the mid of 2009. It made use of a multi-step attack series, starting by utilizing Windows Autorun LNK files and spreading through removable storage devices, such as USB flash drives. In order to gain access to laptops and other machines, the Stuxnet used four previously unknown Microsoft zero-day flaws. Microsoft quickly responded with two patches, and researchers in SCADA security designed a list of confirmed recommendations for facilities that use SCADA systems. Stuxnet code combined stolen digital certificates, thereby the malware looked genuine and could easily escape detection by traditional intrusion detection systems (IDS). After it was identified, researchers immediately started to reverse-engineer the malware. On the other hand, it was summarized that Stuxnet was designed to cause failures in the centrifuge infrastructure used for enriching uranium to weapons-grade at Iran’s Natanz facility. In order to get rid of Stuxnet Malware use an effective antivirus software like Comodo Antivirus. It performs regular checks and removes malware without any trouble. Steer clear from Stuxnet Malware attacks by warding off infected links, it is recommended to install the Comodo free antivirus software. 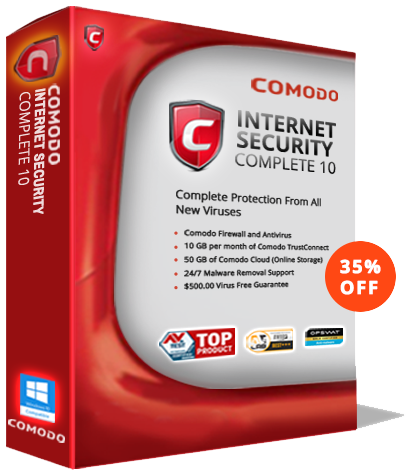 Download Comodo Free Antivirus today!